Author Gabrielle Chan will launch the Jugiong Festival and talk about her book on rural Australian politics, Rusted Off. Photo: Supplied. 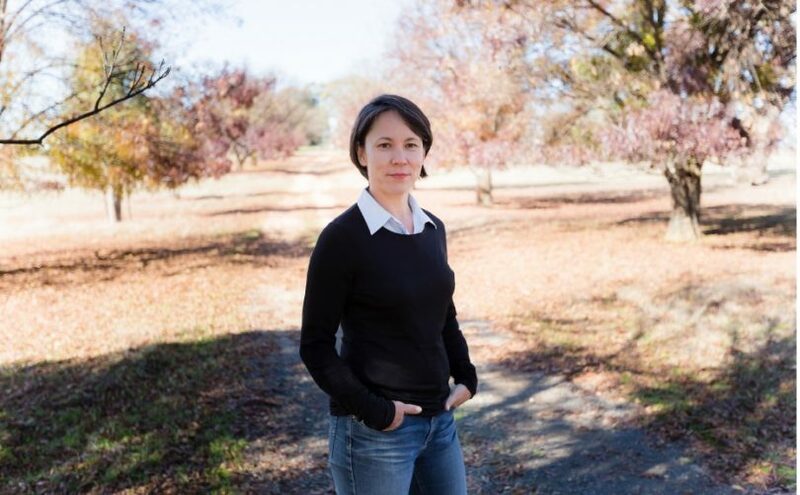 It’s an event once lovingly described as the equivalent of an intellectual CWA meeting, but the Jugiong Writers’ Festival (held this Saturday) is going from strength to strength in the picturesque riverside village west of Canberra. Much of its energy comes from a very strong and supportive community. The program gathers together locally connected writers including Gabrielle Chan, who will open the Festival and discuss her acclaimed examination of rural politics, Rusted Off, Charlie Massy, whose book The Call of the Reed Warbler is now due for US release, photographer and author Trisha Dixon, and Araluen writer and children’s laureate Jackie French. Batlow-based detective writer Sulari Gentill will be there, discussing crime writing with author and journalist Chris Hammer, as will international bestseller and Canberra author Karen Viggers, musician and author Holly Throsby and journalist and author Peter Rees. The Festival started in 2013 with Joy Coggan who ran a second-hand book store in Jugiong once a month. She realised there were already a number of authors in the district, and brought them together for a casual discussion with locals. “It was a beautiful autumn day, so we sat with the books and chatted to visitors,” recalls Freda Nicholls who was there on the day and is now the Festival’s chief organiser. “We had a coffee afterwards and the idea of a writers’ festival was born. I’d been wanting to run something like this for a while, and Jugiong said, ‘Of course we can do it’. Freda says the Canberra literary network is a big help. “If we don’t know an author personally, someone else will. Other festivals will often run on suggestions from publishers, and that can certainly play a role. Local response has been strong and as soon as this year’s program was announced, Freda was waylaid in the supermarket by locals keen to assure her they were booking their tickets. The loose theme this year is “Dare to dream down the track”. Freda and fellow organiser Kathy Tait wanted to put together a program that was enjoyable but also encouraged audiences to think about the future as well as the past. The main day is on Saturday 23 March 2019 with seven sessions. A $45 ticket provides Festival entry and enables you to attend one or all seven sessions. Please note, cash only for refreshments on Saturday at the Jugiong Hall venue. There’s a further program of entertainment and storytelling in the Jugiong Park from 10 am until midday on Sunday. Canberra Writers’ Festival – biggest ever!